Central America is an area of the world that gets a bad rap from a lot of people. The main criticisms against the region tend to be the fact that there is a gang problem in many of those countries, and violence is not difficult to find there. Despite those problems, I have had the opportunity to visit almost all of the Central American countries except for Costa Rica and Panama, and those two are certainly on my list in the not-so-distant future. By strange circumstance, even though Monseñor Oscar Arnulfo Romero International Airport in San Salvador is a major hub in El Salvador for other destinations in Central America, El Salvador was actually not the first Central American country I had visited. Instead, my first step in Central America was actually in Belize, but even though I did have a connecting flight in San Salvador, I did not leave the airport at that time. When I made the decision to explore El Salvador a year after my first sojourn into the region, I was not entirely sure what to expect. In fact, I really knew nothing about the country and its people. Needless to say, I went for a visit not sure what to expect, and I left quite impressed. Despite being a major hub for Central American travel, El Salvador is a relatively unvisited country that is somewhat off the beaten path for the average traveler. This is probably due to the reputation it has as a violent country in the midst of a drug war between the government and various gangs, such as MS-13. In addition, the US even has a travel warning for El Salvador regarding the high crime and violence that plagues the country. Based on that information alone, it would make sense why a traveler might want to skip over El Salvador and head to "safer" areas of the region. 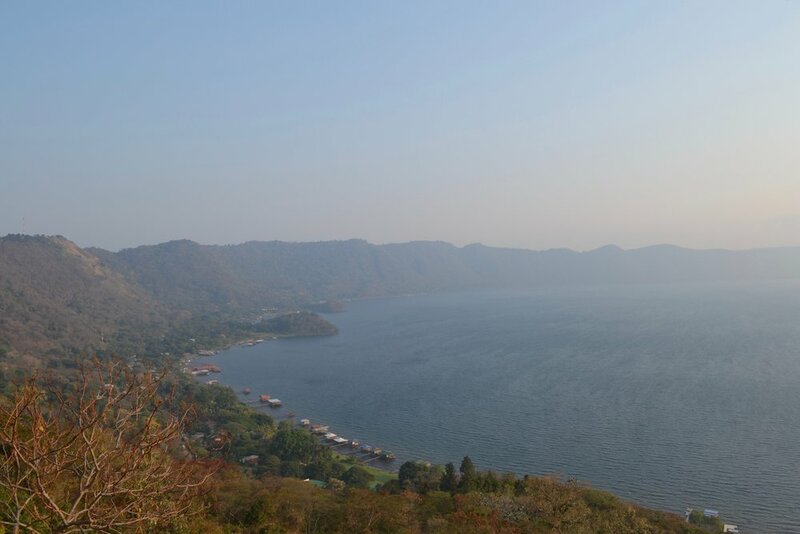 When I made the decision to go for a visit, I was well aware of the risks of going to El Salvador, but I had my goal to visit every country in the world, and I am intent in completing it. Even though I did have a little bit of apprehension regarding the possibility of being caught in violence or having something happen, I knew there was a relatively remote chance of something like that happening since most of the problems dealt with rival gangs and tourists were rarely targeted. In addition, I did my research and made sure to stay in a place that was considered relatively "safe." Plus, this was not my first time in Central America since I had visited Belize and Guatemala the year before, and I had had a worse and much more frightening experience happen to me in Lebanon three years prior to this trip, so I was confident I could handle the country as long as I followed some basic albeit raised precautions. Even though I like to be adventurous, by this time, I had already been in some anxiety-inducing situations, and I decided not to tempt fate, especially in a place with a travel warning. Since my Spanish is not particularly good, and I did not know the area, I hired a guide to take me around the country. This turned out to be an excellent decision since this meant I would not have to deal with the stress of figuring out bus schedules and risk ending up in a wrong area. All I had to do was be ready to go at the designated time and make sure my camera was fully charged. 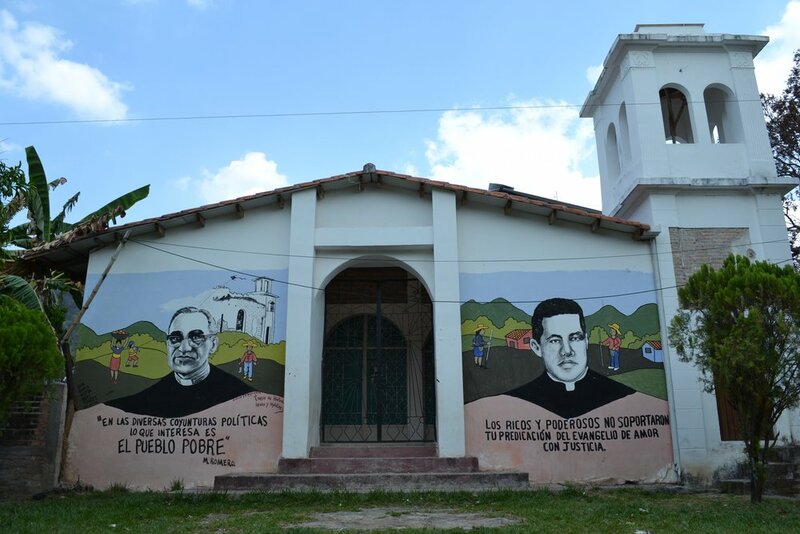 Mural of the assassinated Monsignor Oscar Romero (1917-1980) and another priest who was assassinated as well. During my time in El Salvador, I was taken on "La Ruta de Las Flores" (the route of flowers) to see some very picturesque El Salvadoran towns nestled in the countryside. It was fascinating to see the quaintness and relatively quiet existence these people had. It was nothing like what I saw in San Salvador. Instead of the rush of traffic and the workings of a sprawling concrete jungle, the smaller towns were much more rustic, peaceful, and quiet. There was a even a period of time during my visit where I could have seen myself retiring to one of those small towns. 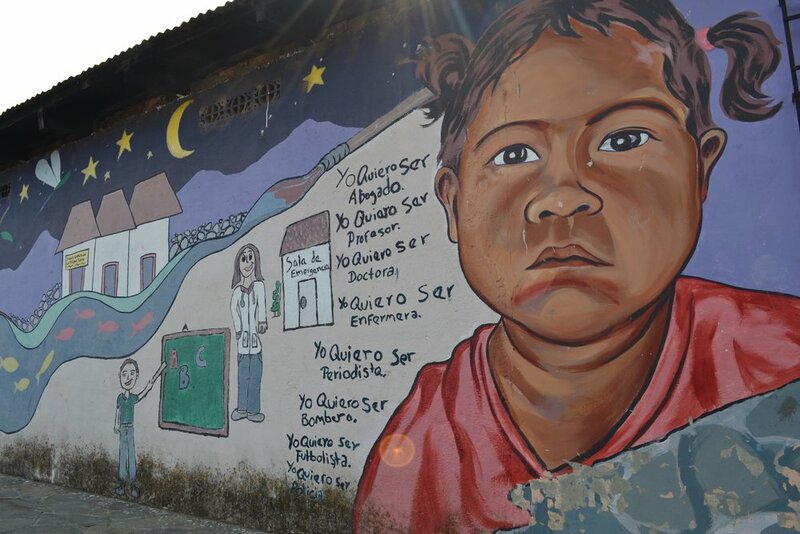 Another thing that I was most impressed with El Salvador was the dearth of street art in several of the small towns, such as Izalco, Suchitoto, Nahuizalco, and Apaneca. 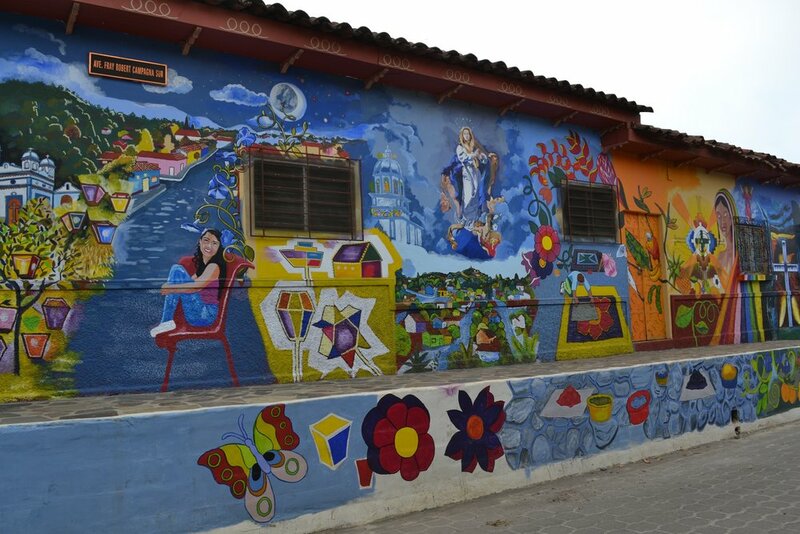 Many of the buildings were brightly decorated with detailed murals done by local artists. This was something I definitely did not expect to see when I visited. 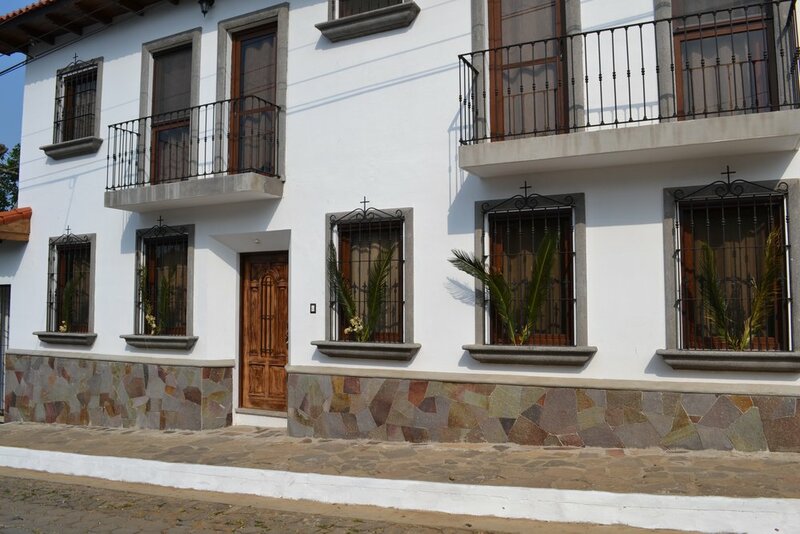 Of course, there were also many opportunities to see beautiful colonial architecture in places, such as Suchitoto. 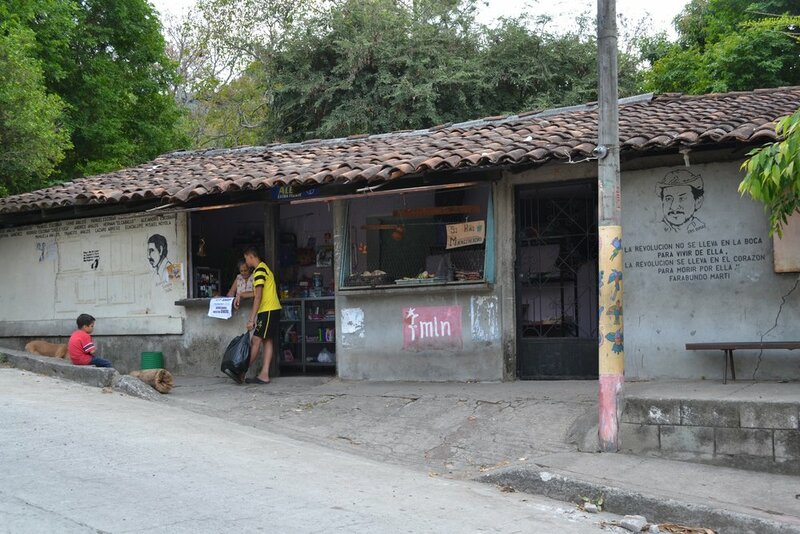 It is not difficult to imagine these rustic towns in the late 19th and early 20th centuries with Salvadorans walking the streets in the fashion of the period. Overall, I was certainly not disappointed by my visit to El Salvador. 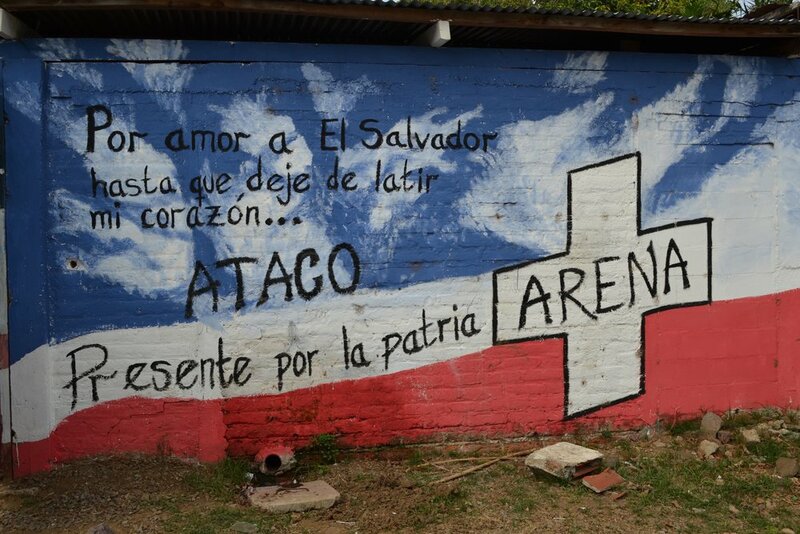 In fact, it turned out to be one of my favorite Central American countries. Due to the relative lack of tourists, it maintained a sense of being a truly undiscovered jewel that deserves to be visited far more than it does. One will find not only a lot of history dating from prehistory up to the present but also amazing nature. El Salvador is a country that has beautiful unspoiled natural landscapes and a nature photographer would have a field day here.